PLAYING WHAT SAN DIEGO WANTS. The station promises to deliver “true variety, that rocks,” and is taking a “playing whatever, whenever,” approach, while featuring a diverse music library curated specifically to the tastes and lifestyle of San Diego. 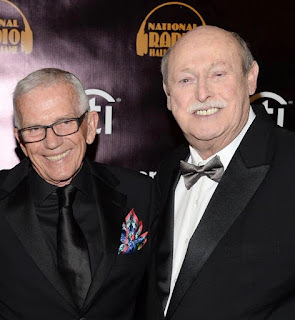 The new format was officially introduced by “Dave, Shelly and Chainsaw” Morning Show host Dave Rickards, who was also featured in recent TV and radio spots teasing a new station to come. The “DSC” will remain unchanged on the station, airing 5:00 to 10:00 AM, Monday through Friday, with all cast members returning. The station has been a project of recently named Program Director Garett Michaels, who joined in early December. 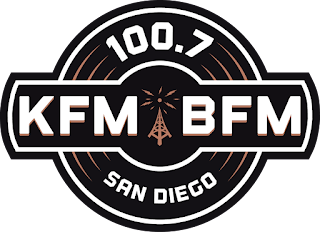 KFMB stations include radio stations 100.7 KFM-BFM San Diego, AM 760 KFMB and television station CBS 8. Midwest Television, Inc., licensee of these locally owned and operated stations, also operates as a member of SDLocal, a joint operating arrangement with Local Media San Diego, LLC. LMSD operates radio stations Magic 92.5 (XHRM-FM), Z90 (XHTZ-FM), and 91X (XTRA-FM). Besides DSC, what's the talent lineup? Hopefully more variety. It seems any format featuring classic hits or classic rock plays the same songs over and over. Hopefully the new KFM-BFM will have special programming features and won't be stale and lifeless like its competitor, KGB. Live and Local is key for success! According to an update in the Reader, the new DJ lineup starts next week. Sarah Perry middays, Garett Michaels afternoons. This sounds an awful lot like the heritage alternative format Steve West used to have on his Radio Nigel webcast. Sounds about 50/50 ....half classic alternative, half traditional classic rock. KFMB-FM seems to have a much larger playlist than KGB's 300 songs which have been played into the ground. At least KGB has songs that actually rock and have legitimacy. This station sounds like wuss rock. No dude I know will listen to Tears for Fears to get to an AC/DC song. Tune out. Are you kidding me? KGB plays Elton John and Toto and Styx. AND they play the same 300 songs over and over again AND they're DJs are voice tracked AND they don't have a morning show that has any juice. Its the same old tired music mix they've had for 25 years. When KFMB goes to live jocks next week, you can bet they will snuff KGB. Just having heritage call letters will not save this anemic dinosaur. There is no one at KGB who can figure out what to do next. The only reason KGB did so well (before the latest book) was because DSC's audience tuned out at 10. Guess what happens now? Tune out you say? We'll see who tunes out whom soon enough. I actually think this is a nice replacement to the lamented and lost KPRi (I used to work there on air when they were known as Sets FM) which was AAA (mix of new alternative/acoustic and classic rock). It would be nice to add some new AAA music to the mix which would make them a bit closer to a standard AOR format, and who knows? The format doesn't make itself out to be ALL Classics so they could easily tweak the format to include some new stuff. It's a Variety Rock format unlike a Variety Hits format like the old Jack FM so I disagree with the naysayers who have been saying "What's different from Jack?" If anything this is closer to Jack FM in LA than what was here. I also like the retro style logo and am I the only one who has gotten the nod to the old B-100? 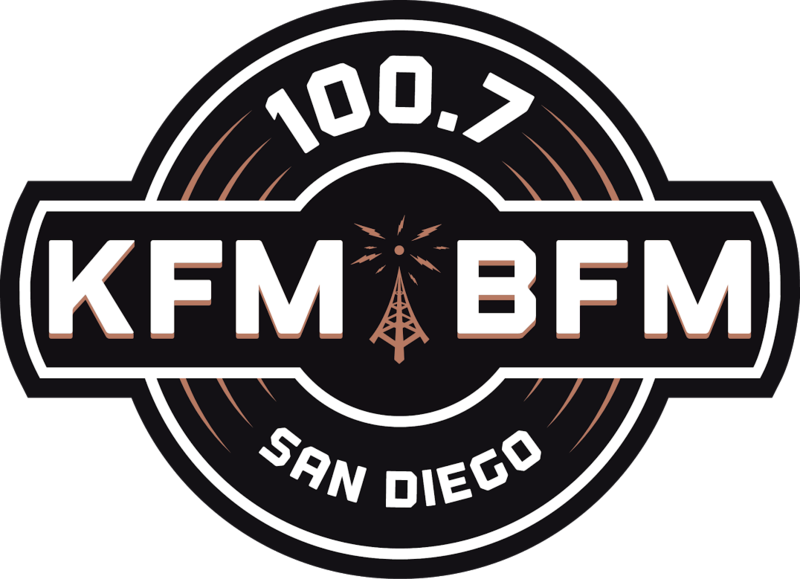 "KFM-BFM....San Diego's FM at 100.7....Often Imitated, Never Duplicated....B100." Good job, guys! Nope, KGB has a backbone and made those bands famous. This new station is just playing the hits of everything, big deal. They can't even come up with something original. What a disappointment. Let's hope KGB digs in, and at least they have some deejays who know about the music and has some depth in their music, not the top 40 versions of different styles. Sure DSC have been around a long time, but KGB is the cornerstone of San Diego. This station sounds like the same station it was with a few different songs. Just my opinion. It's about 4:30 p.m. If you call up KGB right now, no one will answer. That's because there is no one there. KGB is voice tracked all day except for the morning. It's not a real radio station. It's a jukebox with a limited selection of titles. From what I understand KFMB will be live all day starting next week......How can you say KGB make these bands famous. They've been classic rock for 25 years which means they play nothing but yesterday's hits. It's just an oldies station. You could say that KFMB is mostly an oldies as well, except they also play the Black Keys, and White Stripes. That is certainly something different. Cabn'tthink of any station in AMerica that mixes Midnight Oil with Queen. Or The Clash and Stevie Ray Vaughan. It's not the same old Foreigner and lynrd Skynrd songs we've been listening to for 40 years. But you know what, it all comes down to ratings. If people want the same old same old with no live DJs, then KGB will win and you are correct. If they lose because KFMB is offering something new, and DSC listeners actually stick around, then it will indeed be a new day in radio. KFMB does not have the same old classic rock library. We'll see if it works. If you like something in the new format / lineup, let the station know... if you don't like something, let them know! The Jack format was getting old... in L.A, the JackFM station is now playing Adele. ::Yawn:: Great, more classic rock. If they played some deeper tracks, it wouldn't be so bad. Instead, they're playing the 300 songs KGB already plays and some 94.9 FM rejects. All of the really cool variety they played all week really had me hoping something new would be unleashed. I understand you have to pander to the masses, but the masses have notoriously bad taste! I, for one, loved all of the genre music. How cool would it be to have one day for Outlaw Country, One day for Blues, one for K-Puss, etc? I know commercial radio can't/won't do that kind of thing... so maybe it's time to buy into satellite radio for the car. Patsy, while it's great to do that as a stunt, in reality it would more than likely fail miserably, especially after a couple of weeks when the novelty wore off. College radio and some eclectic online radio can offer these truly varied formats, but their audiences are comparatively sparse and much of the time they don't rely on ratings and advertisers to sustain them. For the advertisers it would be so lopsided and irregular - what if the sponsor wants only K-Puss but not Blues, etc. For the listeners, you would attract a type of listener on one day a week, and drive them away the next day - you'd never have a well defined sample demographic to present to advertisers. It would also be a confusing hodge podge for the listener - "Is today K-Puss Day or was it supposed to be Outlaw Country? I can't remember so maybe I won't tune in today." So far the station seems to be slightly more than just classic rock so it's a bit refreshing and may just get better. Oh, I totally get it, I just don't have to like it : ) You're right, it is hard to judge on just one day of listening. I am sure they will evolve over time and since they are making an effort to stay "live and local", hopefully that means they will listen to their listeners and their opinions (within reason, and keeping with their format, that is). I'm pushing for deeper tracks of these classic rock artists. The day they played nothing but Van Halen and the Hair Bands, I heard a lot of songs that I'd never heard before and really liked. I want that for this station, too. Introduce casual fans to lesser known songs. I know there has to be enough "familiar" stuff, too, or people tune out if they don't know any of the songs, but fingers crossed we'll all find enough to like. It's early but it seems to me that the pool of songs KFMB plays is two or three times KGB's list of 300. Yesterday I heard Stevie Ray Vaughan, White Stripes, The Cars, The Who, Black Keys, GNR, The Clash, Tom Petty, INXS, Rush, Flock of Seagulls and Midnight Oil. Where else are you going to hear that broad of a spectrum? Maybe this new station isn't your cup of tea. But with all respect, you can't seriously defend that tired and weak has-been KGB that relies on voice-tracked out-of-town DJs and which has the exact same Lynrd Skynrd Doobie Brothers Foreigner playlist they had in the 90s. I put more effort into a fart than they put in KGB. They just don't care anymore. At least KFMB is trying to do something different. And they will be live with live DJs all day. The DJ they have on right now is Marc Coppolla who phones in his show every day. He's also heard in New York City, Albany, Nashville, Memphis and Providence according to his website. No repeat workday is great!